Dubai 23 April 2018. 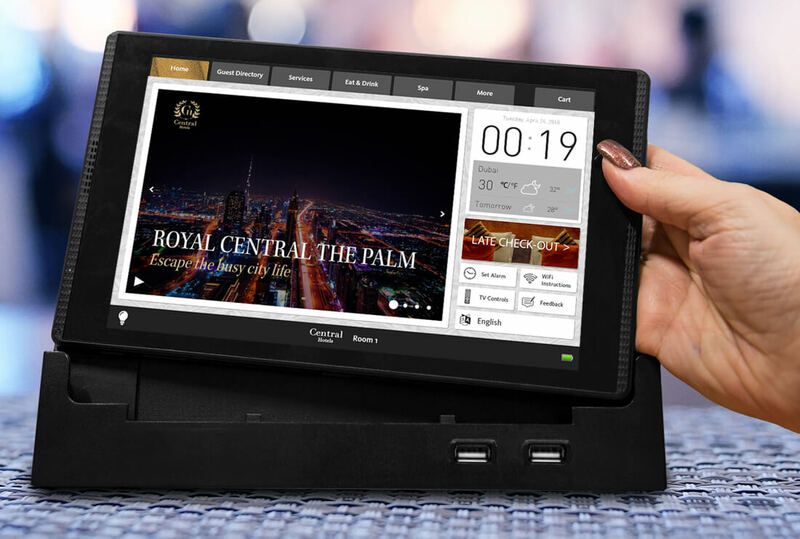 In keeping with its paperless initiative to protect the environment, Central Hotels has entered into an agreement with Crave Interactive to install digital Guest Room Tablet directories across its hotels. Crave Interactive is a world leading developer of cloud-based digital guest service solutions for hotels and was recently named as 2018’s top-rated guest room tablet provider in the Hotel Tech Report Awards. 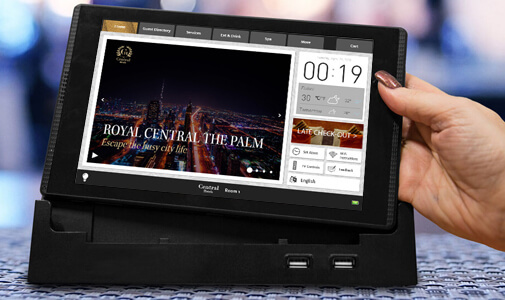 In addition to serving as a digital guest service directory, Crave Interactive will be useful in providing a wide range of services such as wake-up calls, restaurant reservations, dining menus, housekeeping requests, guest notifications, and guest feedbacks. Central Hotels has very quickly established itself as a reputed hotel management group in the UAE with its flagship property First Central Hotel Suites located in Barsha Heights (TECOM) near Sheikh Zayed Road. Featuring 524 apartments equipped with top-notch facilities, it offers travellers the best of Arabian hospitality in the heart of Dubai. Building up on this amazing success, the brand is now poised to expand its footprint in the GCC targeting Saudi Arabia and the UAE as the primary markets for growth.